The center of the Christian life is the grace of God. Understanding God’s great gift of grace more clearly is central to growth as a disciple. Salvation by grace is not the end of the grace story. You don’t receive God’s grace in the beginning and then store it away in gratitude. 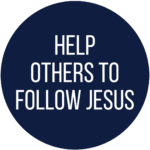 God continues to pour out His grace in your daily life as a follower of Jesus. God’s gift of grace is ever-active in the life of the Christian disciple. It informs all relationships and serves as the foundation for spiritual gifts, service, and mission. 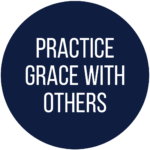 Grace is also one of God’s great teachers in discipleship, training the followers of Jesus to deny ungodliness and press on towards holiness and service. Grace never quits in the life of the Christian disciple. Thus, it is vital for the follower of Jesus to constantly seek to understand God’s gift better. What is the greatest gift you have ever been given by another person? 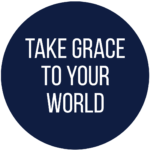 How have you seen God’s grace in your life? How does the great gift of God’s grace directly answer your fears? How can the truth of grace provide greater freedom? Which of the passages above spoke to you with the most power?